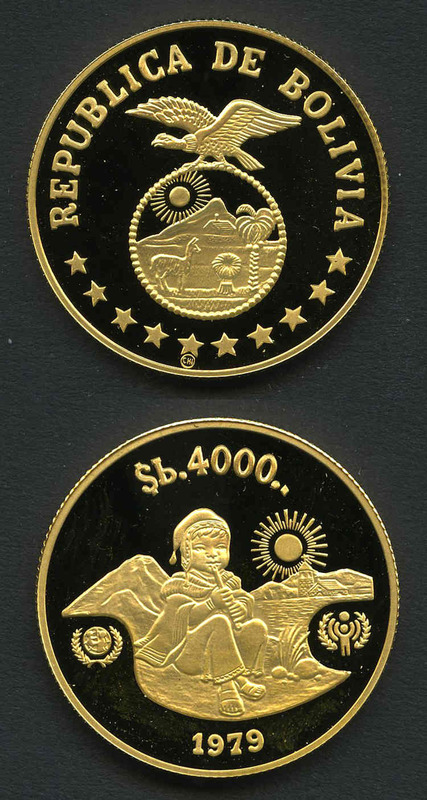 1979 4,000 Peso Year of the Child Proof Gold Coin. Stored in capsule. Contains 17.17g of 0.9000 pure gold with an actual gold content of 0.4968oz. 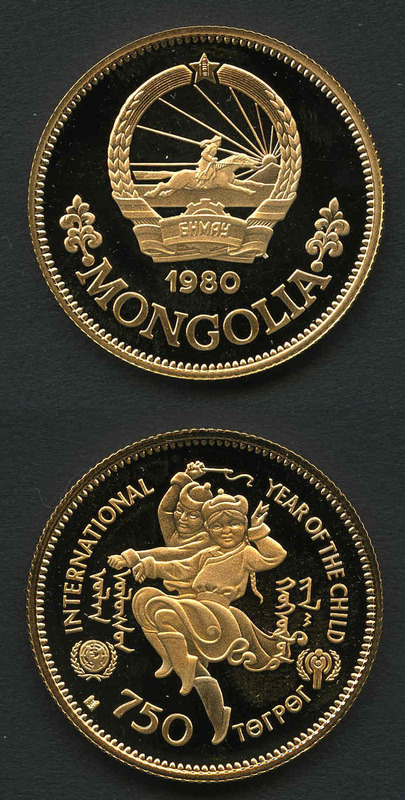 1979 750 Tugrik Year of the Child Proof Gold Coin. Stored in capsule. 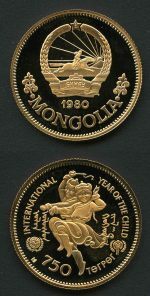 Contains 18.77g of 0.9000 pure gold with an actual gold content of 0.5437oz. 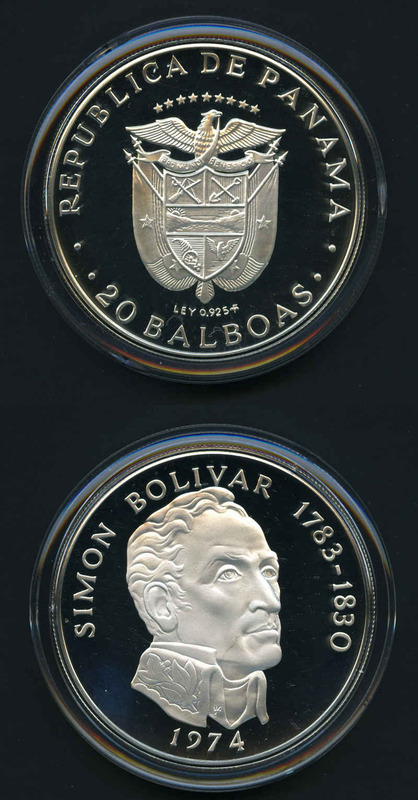 Collection of 16 1979 Silver proof coins from Bolivia, Bulgaria, China, Egypt, Ethiopia, Hungary, Jamaica, Lesotho, Maldive Islands, Mongolia, Nepal, Netherlands Antilles, Philippines, Seychelles, United Arab Emirates and Zambia. Actual silver content is 320 grams. Very high cost price. Also Great Britain set of 5 crowns from 1965 to 1981 and Australia 1981 50c Royal Wedding aUnc/Unc (10). 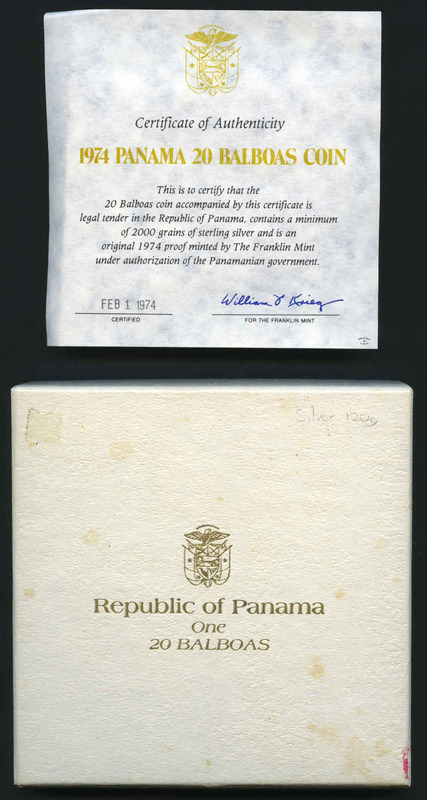 1982-1987 Franklin Mint Coins of All Nations collection of 58 cards, most containing 5 to 8 uncirculated coins, as well as a stamp from each country in 2 boxes. Very high cost price. 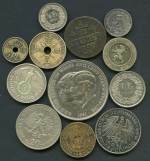 Accumulation of hundreds of coins from a range of countries and periods including a few medallions and banknotes. Noted Australia 2005 $1.00 Anzac Anniversary and 2008 $5.00 Three Explorers Silver proof coins. 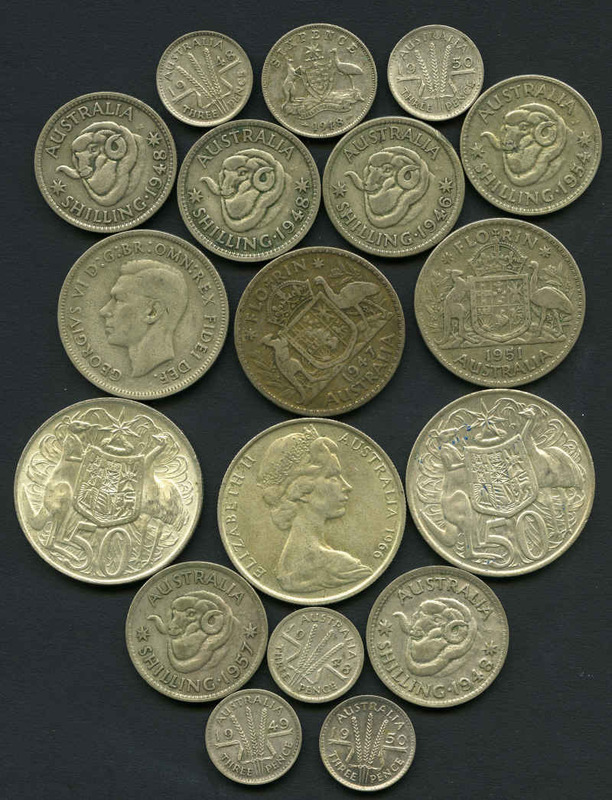 Accumulation of hundreds of coins mainly from Australia and Great Britain including some modern medallions and miscellaneous items. Includes range of Australian Pennies, 1¢ and 2¢ coins, Great Britain 1981 (2) and 1982 Proof sets, Franklin Mint 1981 Royal Wedding Silver pendant and small selection of Foreign Silver coins. Also Australia 1981 Post Office Year album (3). Accumulation of coins and tokens in shoebox including Australia Halfpennies (39), Pennies (208), 1966 Round 50c (4), 1¢ and 2¢ pieces with a face value of $23.00 and more. 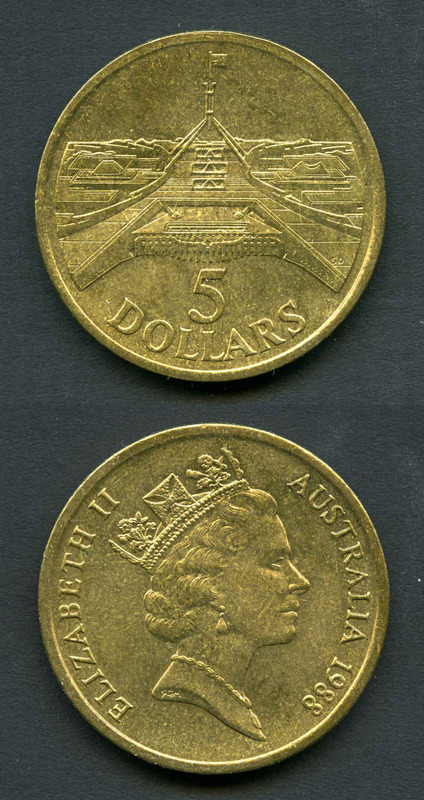 Small collection of coins including Australia 1966 Round 50¢ (3), various $5.00 coins (6), 1979 and 1988 Uncirculated coin sets, 1988 $10.00 Bicentennial 2nd print polymer banknote Unc, Singapore 1988 Uncirculated coin set, 1989 $10.00 Year of the Snake coin UNC, tin of mostly foreign coins, banknotes and other miscellaneous items. 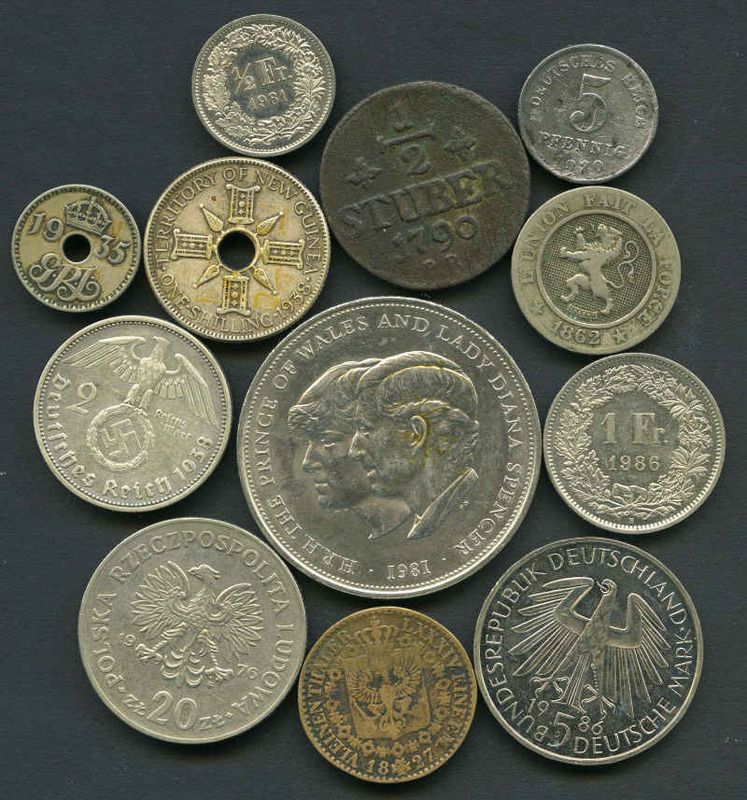 Accumulation of hundreds of coins from a range of countries and periods including some banknotes. Noted accumulation of Australian Halfpennies and Pennies including 1946 Penny F, some earlier foreign coins, Papua New Guinea 1975 Proof set and 5k, 10k and 20k Banknotes aUnc/Unc, Solomon Islands 1977 Stamp, Proof Coin and Banknote PNC set, Great Britain 1971 Proof set and more. 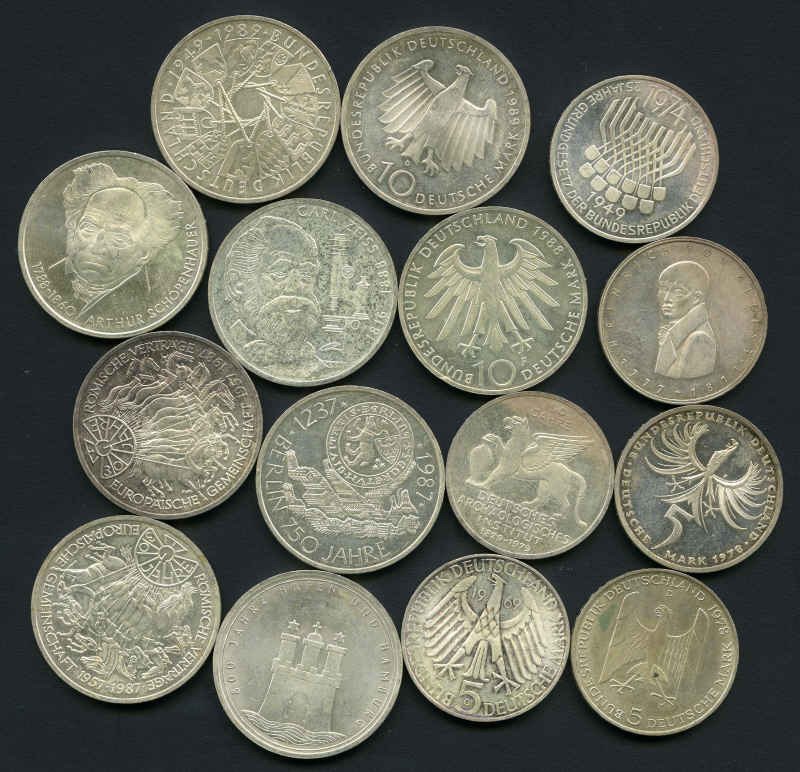 Accumulation of coins from a range of countries and periods in small box including small range of Australian Pre-Decimal and modern German silver coins, plus 1966 50¢ (3). 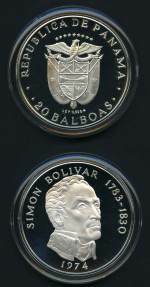 198g actual silver.